City Counil Candidate also wants to improve handicap access along city sidewalks. 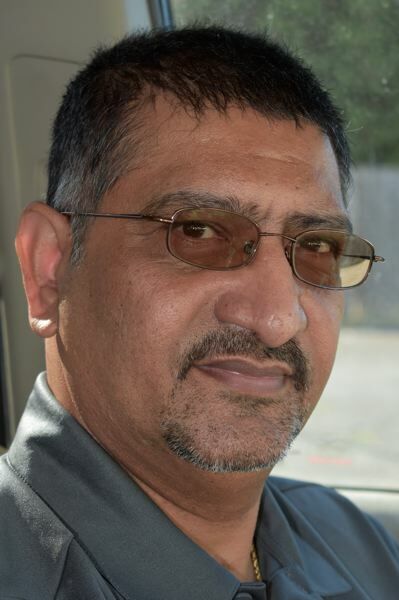 Balwant Bhullar, 52, is the owner of the Fairview Chevron gas station, and looks to help more developers build in the city. So he is running for City Council Position 4 and if elected, he aims to create and promote business incentives. Fairview Planning Commissioner Russell Williams is challenging Balwant for the seat. Position 4 is held by Lisa Barton Mullins who is not running for re-election. Bhullar served a short stint when he was elected to Fairview Position 2 in 2008. He stepped down in July 2009 citing health reasons. The Outlook met with Bhullar at his store to discuss his priorities if elected to Fairview City Council. OUTLOOK: Why are you running for election for a second time? BHULLAR: I'm running because there's a bunch of things that need to get done in Fairview. There's a lot of residential (housing) that comes in here, but there's no business. If you tell somebody to come to Fairview, it's a great place to live. Where are they going to go? What are they going to find? Nothing. People, they don't know where the Fairview downtown is. If somebody is coming from out of town, they're going to drive by and go to Troutdale. Look at Wood Village compared to Fairview it's like half (the size), and look at how many businesses are in there. OUTLOOK: What would you do to promote business in Fairview? BHULLAR: I want to give subsidies to developers. So they can come and build their projects here. I would reduce development fees. OUTLOOK: So then you're in support of the SDC fund waiver (that allows builders investing more than $675,000 to not pay the city's four System Development Charges) that the council passed? BHULLAR: I stay over here (at Chevron, 1605 N.E. 223rd Ave.) eight hours a day, 365 days a year, and people — they know my ideas — and my main concern is to build sidewalks. (If you look around town), you will see there is no way older people or handicapped people like me (Bhullar uses a wheelchair) can go through there. OUTLOOK: How would you handle strong disagreements on council? BHULLAR: I will talk to them. There's nothing that can't be fixed. Everything is possible. It's just a misunderstanding sometimes. I am going to be a bridge for them. OUTLOOK: What do you think of Fairview's possible plastic bag ban? BHULLAR: I agree and disagree with that. This is a good idea because if you see the movies and stuff like that all the animals are getting injured with the plastic, and I've seen a YouTube video where there was a turtle that had a straw stuck in his nose. It's a terrible thing you see. That kind of bleeds your heart out to see stuff like that. It's a terrible thing. Instead of plastic bags there's a bunch of other stuff that we need to stop doing like chewing gum. There's a bunch of stuff we need to take care of, but first we have to educate people. Banning plastic bags right away, is not a really good idea. First we need to tell people why we want to ban them. OUTLOOK: If elected, what would be your priorities? BHULLAR: My priority is to help people, to serve people. If they need to get things done, I will help them to get them done. I want to add another thing, before the election (Fairview City Council candidates) always say they're going to sit in the old City Hall once a week, and they say we'll meet the people. We're going to talk to them about their problems, and we will solve them, but nobody did it. OUTLOOK: Anything else you want to say? BHULLAR: I want to say public safety is a big priority for the city of Fairview because a lot of bad people come into Fairview. I want to establish a neighborhood watch program, and we have to bring some type of citizens' patrol. I think a bunch of cities have that. So citizens if they see something suspicious, they can notify the law enforcement agency.